Not planning on cooking the bird this THANKSGIVING? 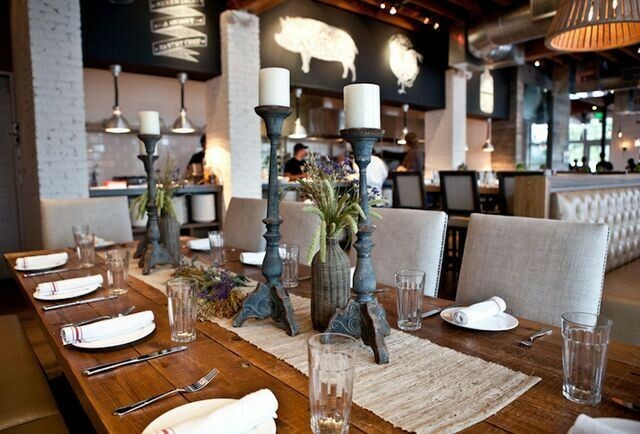 Thankfully, Yardbird Southern Table and Bar has a table set for you and your crew! The popular southern-style eatery is offering a special Thanksgiving Menu of farm-to-table home-style favorites! Start with the Parsnip Potato Soup with roasted garlic and pomegranate relish or Butternut Sage Ravioli with chive blossoms and sunflower seeds. Cooked up hot and fresh, The Yardbird Turkey Plate checks all the Thanksgiving Day boxes complete with giblet gravy and cranberry. Some say the sides are the best part of all; choose from Sweet Potato Casserole with marshmallow flambe, crispy brussels sprouts with cornbread croutons and bacon or Mama’s Biscuit Stuffing with melted leeks. You will want to save room for Yardbird’s Bourbon Pecan Pie and/or the famous Peach Cobbler! Prices range from $16 to $25 respectively. Reservations are available all day, from 10 AM – 9 PM. To experience Yardbird on Thanksgiving, call (305) 538-5220 or click here.